In SharePoint 2013 there are no visual best bets/best bets, keywords replaced with promoted result with Intent based search experience. When condition of query rule trigger based on the rule promoted , result block and result rank applied to the search. why changed to promoted result? When client comes and says, I wanted to display my result i.e. promote my results in SharePoint search center what search analysis replay to client, yes we will add visual best bets or best bets. The really client not understand the technical words best bets and also it not make any sense. Microsoft decided to change the visual best bets to “promoted results”. Query Rules can be created at the Search Service Application, Tenant, Site Collection or Site level. Query rules composed to three components. Condition: When to apply the rules? SharePoint 2010 getting search keyword: we were writing a custom code to get the Search keyword & best bets, we used the FAST Search Proxy. The big bug found & that mentioned below. Special thanks for Mikael Svenson. He already did a lot of research on it. Above code was not working, the problem was Fast Search Service Proxy unable to connect with the search service. Automatically created when site column created and used (the must be stored in the content database using this column).Crawl properties now crated at the site collection level. Earlier only available at the application level.Crawl properties & manage properties created with specific naming convention, as mentioned in the attached link MSDN.Automatically created crawl properties sortable and refinable are turned off and property with text data type.There are list of OOB Manage Properties available at site collection level with different-2 data type start with name Refinable<datatype>00 .. Refinable<datatype>100 to you can use this to make achieve Sorting and refinable by map crawl property one of manage property give it alias. 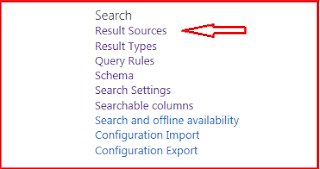 SharePoint 2013 why content Search Web part? In SharePoint 2010, we do not have OOB web part that get back aggregate results i.e. results more than one site collection. The Content Query Web part displays aggregate list content (data from multiple lists) from within a single site collection. Why not Custom Web part? If the number of site collection is increase, the custom code will cause the issue and this end up with performance or may have a chance for a memory leak. Why Content Search Web part? SharePoint 2013 Content Search web part introduced by the Microsoft to break the site collection boundary problem.Web part displays cross site collection aggregation results. 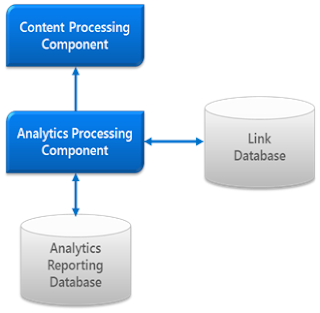 It is OOB solution and fully based on Search(Indexed content) the more often crawl run, the more up to date content. Result Types: Each Search result item render differently. In search result page, whatever renders on the page, it is display on the basis of search result and each control has its own result template like Refiners, Core Result, Search Vertical, Search Box and Hover card. Each item in a search result page use different "Display Template". Every web part has a option to set result type template. By default SharePoint 2013 comes up with some default list of template.Apart from the search web part there is another web part called Content search web part(CSWP) has its own result template to render the results. Result Source: SharePoint 2013 comes with Result Source, "which is a replacement of SharePoint Scopes and federation locations". Apply query to transform a corpus subset. In SharePoint 2010, the scopes only are created at the application level to overcome this problem. Result source can be created at Application Level, Site Collection Level and Site Level. Now the every site owner can creates the result source at Application, site collection and site. So site collection result source available to all the sub site, and site can have its own result source. Once it created user create the new Search Vertical and update the core result web part. Following are the steps to create the Result Source. In SharePoint 2013 the best of two Search Engines “SharePoint Search” and “FAST Search Server for SharePoint” was combined to make one Search Engine that would provide greater redundancy and for better scalability. Microsoft did lots of change in search center as compare with new search center. New search center home page the wide text box without any search tabs i.e. “All site”, “People” no more exist. Now the tabs are the part of result page in SharePoint 2013. “Search tabs” name changes to “search Vertical”. There are 4 Search verticals default available in search center. Everything: Everything vertical comes all results that includes peoples, content, conversations and videos. Search has been available in SharePoint since SharePoint 2001 and all versions till now.SharePoint 2003 Search with some out of box featuresMOSS 2007 Search introduce the my sites and people searchFAST is both a company and a set of products focused on enterprise information retrieval. FAST and its products were purchased by Microsoft in 2008, but the company was kept essentially intact. FAST continues to develop and support the FAST product line and is working to further integrate it into the Microsoft product set—specifically, into SharePointSharePoint 2010 two search option available in this productSharePoint 2010 Enterprise SearchFS4SP (Fast Search Server for SharePoint 2010)In SharePoint 2013 the best of two Search Engines “SharePoint Search” and “FAST Search Server for SharePoint” was combined to make one Search Engine that would provide greater redundancy and for better scalability. What is hotNumber of times content is viewedPopularityHot topics in distance threadMy previous searchPopular result Analyzes the items how users interact with search result events like number of times user search and click the items. Following are the list of event events.